Learn to improvise from the bass stars. 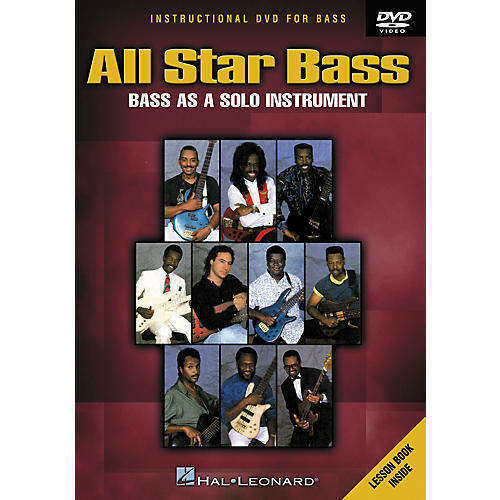 Ten of the most prominent bass guitarists since the inception of electric bass present the bass as a solo instrument and demonstrate their techniques. In this insightful hour-long DVD, each artist presents techniques for performing improvisational solos to help you create your own unique sound and develop your own style. Step into an in-depth and up-close session with these in-demand bass players for a view of the bass as a melodic, rhythmic and alluring solo instrument. Artists include: Nathan East, Larry Graham, James Jamerson, Abe Laboriel, Byron Miller, Chuck Rainey, Freddie Washington, Neil Stubenhaus, and Verdine White.